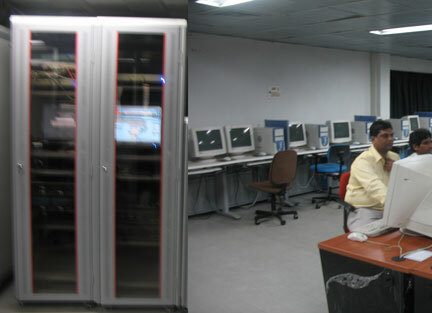 The computer lab is well equipped with about 45 computers with Intel Dual Core processors. These computers run Windows family of OS and is used for imparting training on Windows family of OS and on MS Office productivity suite. Laboratory is open for extended hours upto 8 PM on all days except Friday including Saturdays and Sundays, to enable the trainees to utilze the computers. A Railnet Server is connected over the LAN that consists of over 100 nodes spread over various locations in the campus. 10 Mbps Leased line connection is available for viewing Internet. Apart from this a 10 MB Leased line connection is extended through ADSL to all the rooms of Officers Hostel, common areas of other Hostels and residences of Faculty.